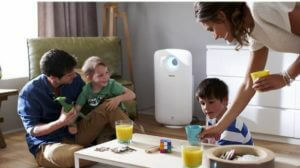 Enjoy having an air purifier in the cost of a smartphone! 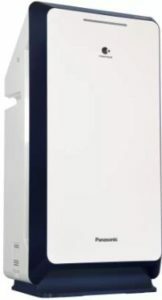 That’s the Panasonic F-PBJ30ARD air purifier for you. In as low as INR 8,599 you get a genuine product from the house of Panasonic who have dominated the Consumer Electronics scene for decades now. 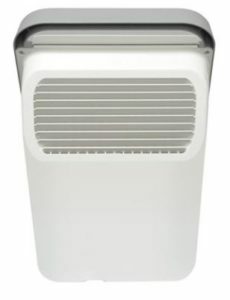 What can be more satisfying than to be able to avail the benefits of an air purifier for so low a cost. 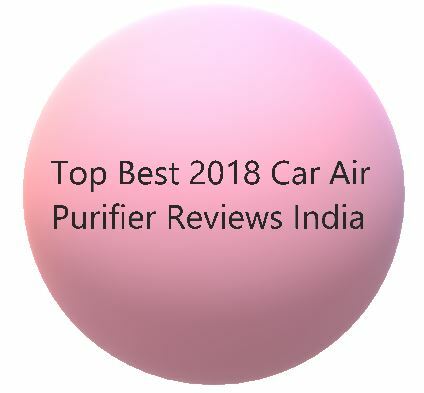 Now enjoy the benefits that this device brings with it as it spreads a sense of trust that your dear ones are breathing clean air. Most suitable for small areas of size around 215 sq.ft. 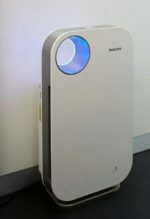 This purifier model has been created for that segment of customers who are still skeptical of whether or not air purifiers are worth shelling out thousands of bucks. 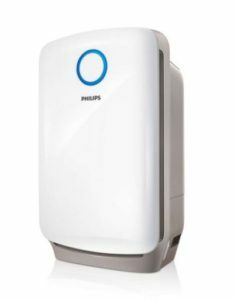 If you prefer Philips products over Panasonic then the Philips 4025 model is worth a buy. Obviously the Panasonic F-PBJ30ARD is among the cheapest models that you can find around, many indicators(sensors) are missing. This is no to mean that the purifier cannot be deemed useful. 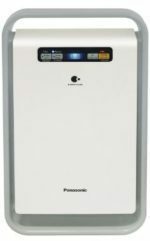 The sole purpose of an air purifier is to purify the air in its surroundings and the Panasonic F-PBJ30ARD does this job well. 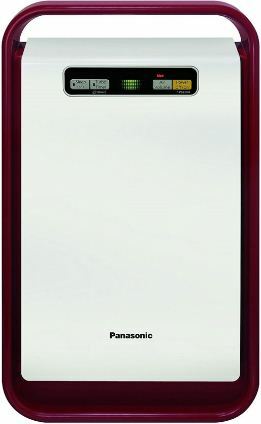 The Panasonic F-PBJ30ARD removes 99% of micro-organisms and allergens from a room of size 215 sq.ft. 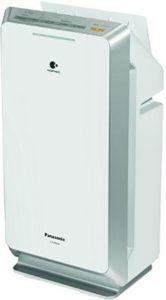 We recommend to use the unit in closed rooms with no direct source of pollutants. This would help in quickly achieving a clean atmosphere inside. Allergens are effectively filtered out at this stage of purification. Pollen grains, mold spores and fine particles like fiber strands are trapped at this stage. Phenolic polymers encircle the allergens and trap them thus rendering them harmless. Most people took a liking for green tea after watching advertisements wherein its high anti-oxidant properties are highlighted. 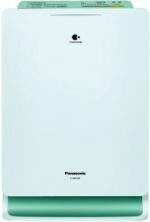 In Panasonic air purifiers too, green tea has found use not through its anti-oxidant features though. Catechin, a green tea extract, is contained in the filter and removes Formaldehyde. If you have shifted to your new home with fresh coatings of paint and new furniture been placed, then this gas would be present in dangerous quantities. Although the fumes would reduce with time, yet other indispensable sources of it like resins, paints, plastic products, leather products, synthetic fabrics and clothing. Formaldehyde is a carcinogen which means that large and prolonged exposure to it may cause cancer in humans. Formaldehyde is also found in cigarette smoke and in places where gas stoves are used. Sources of Formaldehyde include manufactured furniture like desks, bookshelves, beds, cupboards etc. For times when you feel the concentration of pollution is too much to bear, there is a turbo mode to set things right quickly. Within 10 minutes of turning turbo mode on, there are clear signs of majority of the pollution been removed. The Panasonic F-PBJ30ARD air purifier achieves this by letting its fans run at their top speeds. It thus creating powerful suction force around the unit. This is to be bore in mind that the unit ceases to be its quiet self while it is running all cylinders in Turbo mode. For setting it in its most silent state, you can use the Sleep mode feature.